I have just returned from the culinary and racing phenomenon that is the Hong Kong International race meeting. 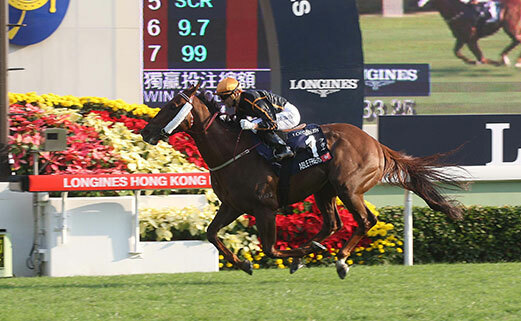 Last Sunday at this meeting, Able Friend scored a scintillating victory in the Hong Kong International Mile that caused jockey Joao Moreira to claim that he is the best horse that he has ever ridden. Able Friend (pictured) was bred by Stuart Ramsey of Ramsey Pastoral to a Brain-recommended mating. The mating of Ponte Piccolo with Shamardal that produced Able Friend rated 138. To cap off this sensational week, Stuart Ramsey also bred the winner of today’s Wyong Magic Millions 2yo Classic, Zoutenant. This colt by Zizou out of Tenant’s Tiara rated 146. The mating had previously produced city winner, Tiarazou. These successes highlight the success that can be achieved by sending your broodmare to stallions that suit their pedigrees, based on Brain Pedigree Analysis. There is a tremendous flow-on commercial benefit to your broodmare when you can achieve success at this level. It has been some time since the last Brain Update. We have had some outstanding results lately, and the clients concerned know about it, but we are overdue to shout the results from the rooftop! Following are some recent racing highlights for Brain Pedigree Analysis. Over the years we have mentioned that Patrick Brain’s Pedigree Analysis System helps predict successful crosses in advance, rather than identifying successful crosses in hindsight. Since Sebring went to stud, virtually every Encosta De Lago mare that Brain analysed featured Sebring high up in the ratings. An obvious factor to a pedigree enthusiast is the beautifully-balanced 4×4 linebreeding to Rolls, a mare prominent in the pedigree of both Sebring’s damsire, Flying Spur, and in Encosta De Lago’s pedigree. While the first few runners bred on this cross produced some winners, there was nothing to get too excited about, however the last two weekends have highlighted that Patrick Brain was on the right track with his recommendations. On Saturday, 8 March, at Flemington, Clifton Red (pictured above) debuted with a win in the Group 3 TBV Thoroughbred Breeders Stakes. A week later in the Group 2 Sweet Embrace Stakes at Randwick, Believe Yourself was successful, making it two wins from two starts. Suddenly this particular Sebring/Encosta De Lago cross reads as six runners for four winners including two group winners, which by racing standards is an incredible 33.3% stakeswinning strike rate. Believe Yourself was bred by Ramsey Pastoral to a highly-recommended mating. When Fighting Sun impressively won the Listed Canonbury Stakes at Rosehill in mid-February, he was instantly promoted to Golden Slipper favouritism and looked to be one of the best 2yos of his generation. 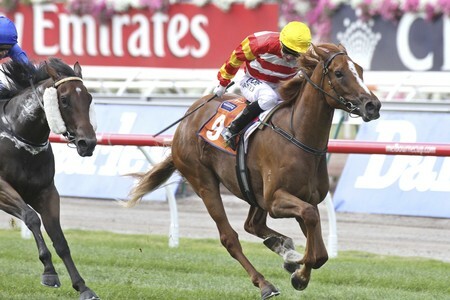 Unfortunately he pulled up with a serious injury and has been retired, and will stand at stud at Eliza Park. Fighting Sun was also bred by Ramsey Pastoral to a highly-recommended mating. As you can tell from the above stories, long-time Brain client, Stuart Ramsey, of Ramsey Pastoral, is on a roll. Apart from breeding the two high-class 2yos mentioned above (as well as numerous non-black-type winners) recently, he also bred current Hong Kong star, Able Friend, to a highly-recommended mating. Able Friend has finished second in Group 1 races at his past two starts over distances beyond his preferred 1600m, but is shaping as the best miler in Hong Kong. Previously Able Friend had won four of his five starts in Hong Kong including the Group 1 Hong Kong Classic Mile. Named after owner/breeder John Camilleri’s daughter, and not our former Prime Minister, the Peter Moody-trained A Time For Julia (pictured below) keeps winning. Last weekend she won the Group 3 Roy Higgins Tribute Quality at Randwick. Prior to that she finished second in the Group 2 Millie Fox Stakes, which followed on from a win in the Group 3 Bellmaine Stakes at Caulfield. A Time For Julia was bred by John Camilleri of Fairway Thoroughbreds after analysing his mare, Procrastinate. There have been two Group 1 winners this season which are the products of either recommended matings or yearlings recommended at yearling sale time. We are thrilled that our own Rebel Dane is included in this category as he broke through for his maiden Group 1 victory in the Sir Rupert Clarke Stakes at Caulfield last September. We raced Rebel Dane’s great-grandmother, Georgian Gold, and when she retired to stud, she was one of our first Brain pedigree analyses. He is now the third generation bred on a Brain-recommended mating and the result is an absolute high-class horse who has been a joy to all those involved with him. 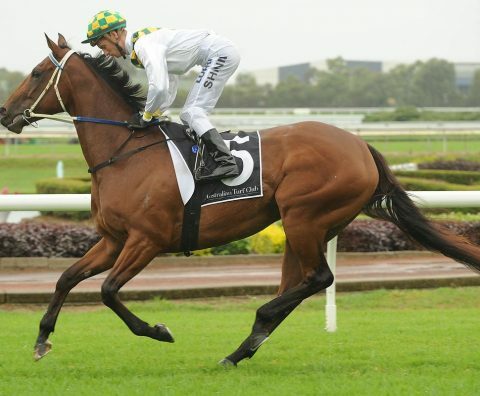 He is currently being set for a first-up tilt at the $2.5 million TJ Smith Stakes on 12 April. Samaready, who earlier in her career won the Group 1 Blue Diamond Stakes, added another Group 1 to her resume when she won the Moir Stakes at Moonee Valley last September. She was highly recommended when her pedigree was analysed as a yearling. In the 2013/14 season, other Group 1-placed horses or stakeswinning horses that were produced from recommended matings, or which were recommended when analysed as yearlings, include Shamexpress, Bound For Earth, Royal Descent, Kuroshio, Criterion, Bull Point, Precedence, Smokin’ Joey, Kiss A Rose, Diamond Oasis, Bounding, The Solitaire, Thy, Full Of Spirit, Star Rolling, Epingle, Kalahaar, Savour The Moment, Waterford and Crumpet O’Reilly. This is a good time to analyse your broodmares in preparation for the 2014 booking season. We would reasonably expect that the more-popular stallions, particularly from a future sales point of view, will be subject to their usual booking frenzy over the Easter yearling period. We stay in close touch with all the major studs with regard to possible and likely stallion additions for the 2014 breeding season, so we expect that the only major stallion additions for the coming season will be late retirements in either hemisphere.